At slightly over 100 pages, this book, pamphlet really, is hardly worth its hefty price tag, particularly since the first 90 or so pages are an incredibly abbreviated and rather unobjective account of Tito's life and post-WW2 Yugoslav history. This summary-style makes it possible for Pavlowitch to make a number of sweeping generalizations and questionable statements without the need for backing his claims or citing evidence in footnotes. In a reductionist style suited to the book's format, Pavlowitch basically says that Tito was a rather unremarkable man of middling intelligence and ability who only achieved anything through a combination of cunning, conniving and luck. It is only in the last chapter (the only one worth reading by the way) that he concedes that Tito may have had some real political and diplomatic skills despite his many shortcomings. While I have nothing against demythologizing Tito and Titoism, this "reassessment" offers nothing new - the first cracks at the Tito myth were taken almost immediately after his death in the former Yugoslavia, while a number of non-Yugoslav scholars and analysts have produced excellent works that dissected the nature of Tito's seizure and maintenance of power. Pavlowitch's overall conclusion seems to place most of the blame for Yugoslavia's collapse squarely on Tito and the socialist system he set up - a point worth discussing - but he cites mainly superficial reasons for this. He also grossly oversimplifies the nature of the Yugoslav economy, which he seems to imply only remained viable due to massive Western support. In the end, despite extensive discussion of Tito's many failings, there is no real substanstial assessment of the actual failures of his leadership of the former Yugoslavia or the system he and his ruling clique set up. Also, Pavlowitch completely fails to account for Tito's charisma and the genuine affection that many in the former Yugoslavia felt, and still do feel, for him. It is well written and informative, but reads more like a survey than a biography.It almost seems as if the book is written for journalists who need a crash course on Tito and some background information before they areshipped off to the Balkans to cover the latest mishaps of that region. Thus, the biography seems to short and feels lacking of details that wouldmake the interpretation and understanding of certain events clearer.Forexample, more background and detail should have been put into Tito'srelationships and subsequent breaks with Djilas and Rankovic or the purgesof Inform Biro (Comintern) supporters after the break with Stalin.I alsofound the World War II chapters confusing and lacking in the explanation ofthe partisan and chetnik struggles against Germans, and their subsequentrivalry.From the limited information provided one is almost lured intoviewing these two groups as two big groups caught into the 1940's versionof a gang war. A useful and interesting overview of Tito's era. Pavlowitch's 110-page overview gives an excellent account of Tito's earlylife, the development of his political acumen in the crucible of Cominternmachinations in the 1920s and 30s, his slavish devotion to Stalinistideals, and his stubborn adherence to his own closely-held vision forYugoslavia.This vision was the integrating theme that maintained Yugoslavunity during his long rule, but it also contained the seeds of its own ruinin that Tito's inability to respond effectively to economic crisesbeginning in the mid-1960s and the subsequent societal disaffection withthe Communist program gave sustenance to the nationalist fever whichexploded in Croatia and Bosnia in 1992 and Kosovo in 1998. Had Tito beena truly effective unifier, he would have done more than postpone the day ofnationalist reckoning until ten years after his death, he would haveaddressed the fundamental forces underpinning nationalist yearnings. Thisbook provides an excellent look at Tito and his contributions toYugoslavia.Pavlowitch is especially strong in his analysis of Communistparty politics and Tito's schizophrenic relations with the Soviet Union.Ionly wish the author had provided a more detailed explanation of Tito'seconomic planning.The "self-management" economy receives only adozen words of attention.It is difficult to fault Pavlowitch on thispoint after he heroically struggled to compress a mass of dense materialinto this fine short volume, but a cursory understanding of Yugoslaveconomic dynamics would be invaluable to a reader who might not buy anothervolume about the country.Surely a few paragraphs on economics would notstretch the book unreasonably. On the nitpicking side, the book seems tohave both British and American editors, as financial figures are givenalternately in the British "$3,400 million" (p.77) and theAmerican "$20-21 billion" (p.91).Also he sometimes assumes thereader has significant pre-knowledge, as when he introduces Tito's threesenior lieutenants by last name only, "In the spring of 1938... he setup a provisional leadership around Djilas, Kardelj and Rankovic"(p.23) without providing further background on these individuals.I canonly assume the relevant background material was left on the editing-roomfloor.However, these are quibbles, the book is excellent. Tito: World Class Leader or Small-Time Autocrat? Stevan Pavlowitch's brief but informative biography of the lateCommunist dictator Josip Broz Tito offers some interesting insights into the political enigma who ruled (or, as many believe, catastrophically misruled) a colorful, diverse and unique nation known formerly as Yugoslavia. Much of what has already been written about this volatile corner of Europe focuses upon surface ideological, ethnic and religious differences. Pavlowitch goes further, arguing the different ethnic subgroups comprising the southern Slavs had widely diverging sociopolitical cultures based upon their lengthy but often-resisted subjugation by two different empires--the Slovenes and Croats under Western-oriented Austria-Hungary and the Serbs and Macedons ruled by the Middle Eastern Ottoman Turks. These divergences made the prospects of a truly united and stable Yugoslavia rather dim--divergences that Tito for his entire 35-year reign was only able to gloss over with a highly public stance as a leader of the self-proclaimed "nonaligned" movement, a debt-financed economic boom based upon an odd form of limited free-market socialism and a leadership style which appeared benignly autocratic but actually lurched between secretive, intense repression and organizationalparalysis if not outright chaos. Yugoslavia exploded onto the front pages of world newspapers in the early 1990s. The War of Yugoslav Succession of 1991-1995 convinced many that interethnic violence was endemic to politics in Yugoslavia and that the Yugoslav meltdown had occurred because of ancient hatreds. 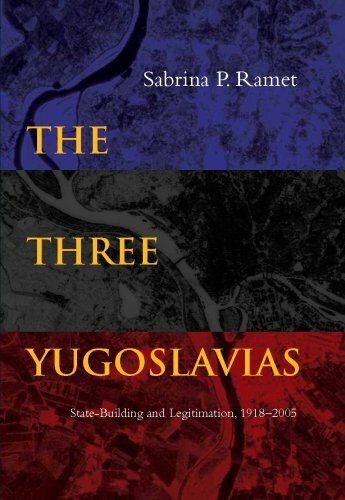 In this thematic history of Yugoslavia in the 20th century, Sabrina P. Ramet demonstrates that, on the contrary, the instability of the three 20th-century Yugoslav states--the interwar kingdom (1918-41), socialist Yugoslavia (1945-91), and the rump Yugoslav state created in 1992, consisting of Serbia and Montenegro--can be attributed to the failure of succeeding governments to establish the rule of law and political legitimacy. Ramet places emphasis on the failure of the state-building project and the absence of political legitimation, rather than on ineluctable or abstract historical forces. Based on extensive archival research and fieldwork and the culmination of more than two decades of study, The Three Yugoslavias is a major contribution to an understanding of Yugoslavia and its successor states. One star is too much for this pathetic dribble from a "scholar" who has dedicated his life to proving that the good guys (ie the Serbs) are always good and the bad guys (ie non Serbs) are always bad. I was given a copy of this book in Belgrade one summer by a friend who hadn't yet read it, and never one to turn down a free book gladly took it. After the first few chapters I couldn't take it anymore and skipped to the end. I have no ethnic ties to any Balkan country and consider myself relatively unbiased. One need not know all the facts firsthand to recognize the bias in this book; it is in the language of the book. Simply the adjectives chosen paint a picture of noble victimized Serbs and blood-thirsty fascist Croats. (Sorry I don't have the book on hand to give a few quotes.) Serbs were the initial aggressors in Croatia and Bosnia. But attrocities were committed by all sides, and against all sides. 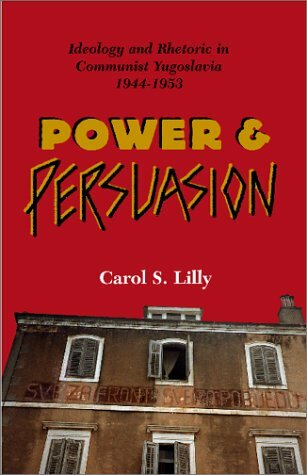 Unfortunately, all sides seem most interested in continuing to play the victim (as nicely exemplified by this book), and few seem willing to own up to the wrongs done by their own side. I would say the only useful purpose for this book is analysis of subtle and not-so-subtle means of incorporating personal bias into "scholarly" writing. ...and were stabbed in the back." Much of what? I hope the author of this statement doesn't try to imply that the Serbs brought a higher level of education, culture and improvement of living standards with them when the Yugoslav state was formed? Stabbed by whom? The Serbs shot themselves in the foot tenfold when treating the 'newly acquired areas' as Serbian Lebensraum, the last phase of which unfolded right in front of international cameras in the 1990's. Serbian propaganda has vehemently been trying to cast especially Croats as being genocidal by nature and responsible for the breakup of Yugoslavia, and at the same time casting the Serbs in the role of benefactor and perpetual victim. This book fits nicely together with other publications from pathological Serb propagandists - scholars or non-scholars. It should not be used as a reference to neither Yugoslav history nor as a guide to understand the reason behind the breakup of Yugoslavia. The Serbs were the victims. Dragnich's view is that the Serbs were the victims since the Ottomon Turks conquered Serbia.People with common sense would say that this view is not based on facts.Dragnich defends the Serbs even though most of the facts don't back him up.He simply ignores those facts, and digs up what facts and statistics do make the Serbs look good. For instance, Dragnich maintains the Serb government had nothing to do with the assassination of the Archduke Franz Ferdinand.Of course he ignores the facts that the Black Hand terrorist group was supported by the Serb intelligence group of the Army. Dragnich states Princip was just a fanatical Bosnian Serb.He also blames Franz Ferdinand because he should not have ventured to Bosnia during the time because of the Serb national holiday. This is just one instance where Dragnich ignores the facts and says the victims were the Serbs and not the Archduke and his wife. For the remainder of the book, Dragnich portrays the Croats, Slovenes, and Muslims as benefiting from Serb rule.This would be like equating a colony as a good experience for those ruled. 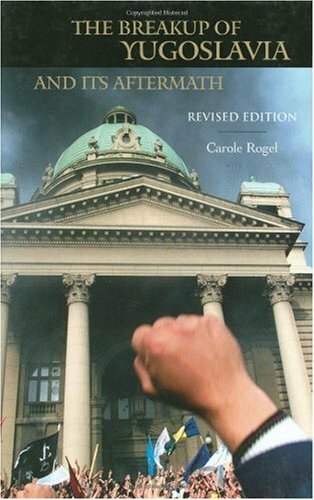 Atrocities, well the Croats and Muslims were more guilty than the Serbs.This is the context of this book. At the very least, one gains an idea of what the Serbs have in their heads.This explains what happened in Croatia, Bosnia, and Kosovo.The Serbs say let us take back what we gave them.It might not be true, but this is how they explain their actions. 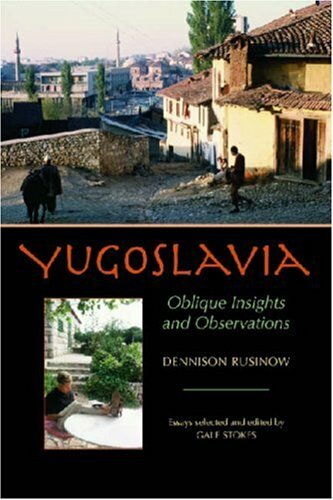 An EXCELLENT study on Yugoslavia! Recent events in the Balkans have shown that due to the ethnological, geopolitical and historical complexity of the region, in depth analysis is of paramount importance in understanding the truth. Apart from the thousands that have died in the 1990's during the Yugoslav civil war, another victim of war has been the truth, as is the case in most wars, especially in the 20th century. The truth is based on undisputed facts (dates, events etc), and in relation to opinion, the truth always lies somewhere in the middle. Unfortunately, the two previous "reviewers," instead of treating this book for what it is, i.e. a valuable primary source from the Serb point of view, they dismiss it on the grounds that is written by a University of Belgrade professor. A rather childish and yet dangerous reaction. In a democracy all voices should be heard instead of being immediately disregarded on the basis of their origin. One cannot and should not silence another just because they disagree with them! Most western media portray Yugoslavia as a country ruled by the strong hand of Tito which, after his death, fell victim to the nationalism promoted by Milosevic. 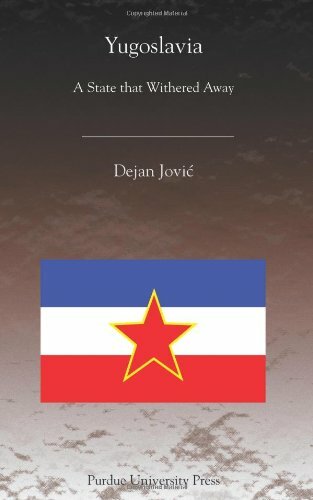 Jovic's book gives a much more down to earth perspective of things and clears the air of many of the popular myths about the Yugoslav demise. It also stays away from judging who was right or wrong looking back on the decision from today's view point. It's a scientific text which is very easy to read. the content is a little old for now. Therefore, the author should amend it to include new documents. 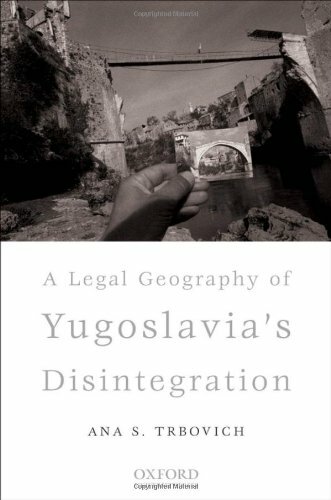 ALegal Geography of Yugoslavia's Disintegration explains the violent break-up of the former Yugoslavia in early 1990s in the context of two legal principles- sovereignty and the self-determination of peoples. 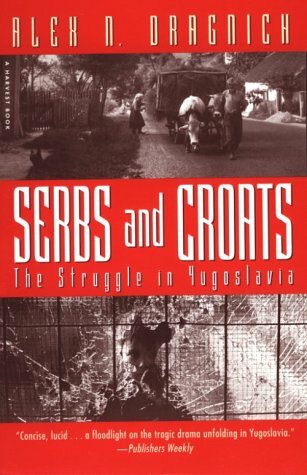 The author recounts Yugoslavia's history, with a focus on the country's internal, administrative divisions, and aspirations of different ethnic groups in order to effectively explain the genesis of the international community's political decision to recognize the right of secession for the largest administrative units of Yugoslavia. Rogel gives a brief recap of the Yugoslav wars. Plural. Fascinating to see how a relative success story during the Cold War managed to fragment so thoroughly after its end. There is the usual account of the tortured history of the region, stretching to the Field of Blackbirds where the Slavs were defeated by the Turks. First Slovenia went its own way. With a brief struggle. But then Croatia too. Much bloodier now. Followed by Bosnia and the jockeying between Croatia and Serbia for influence in Bosnia. And so on. The best efforts of the international community seemed somewhat inadequate. Especially after the massacre of 6 000 Muslim males.